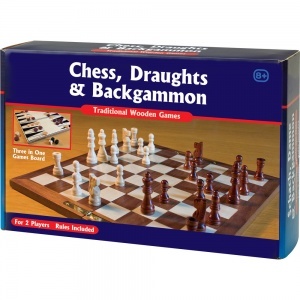 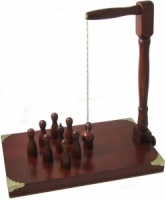 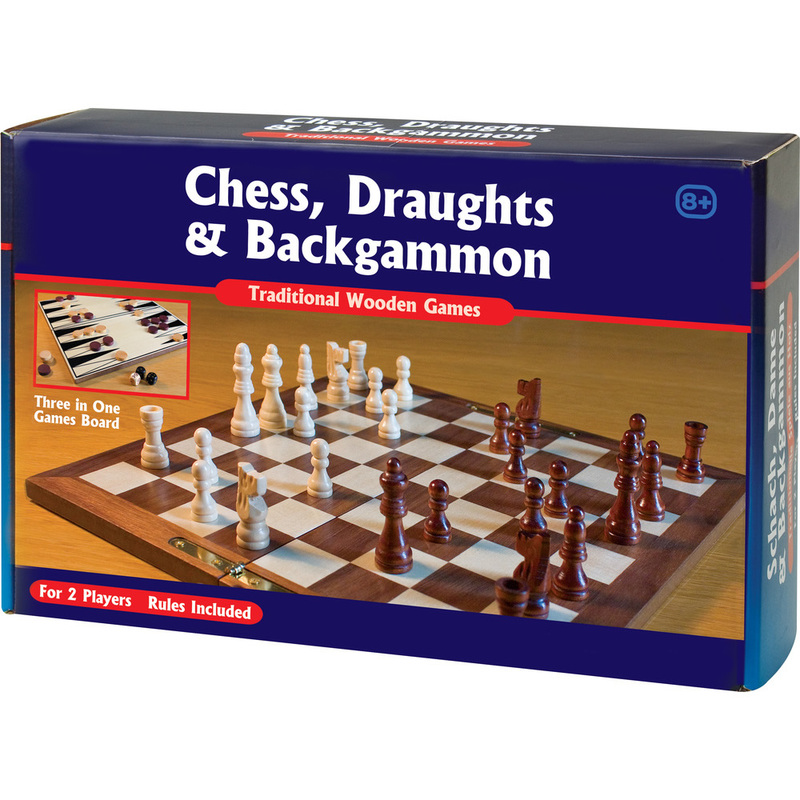 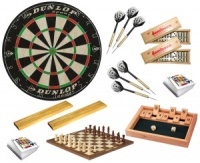 Everything you need to play Chess, Draughts and Backgammon in one great value box!. 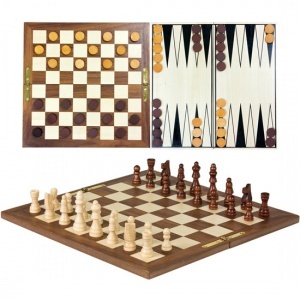 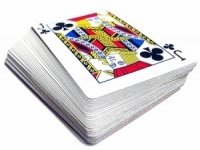 The folding wooden board features a parquetry chequer pattern. 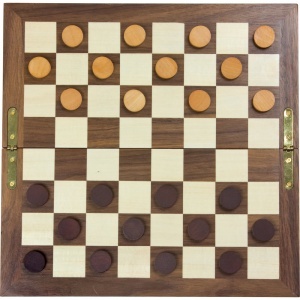 Board dimensions - 27.5cm sq.